YESTERDAY IN Singer Le Mans Replica, Part 1, we learned how George Singer’s bicycle works evolved into sporting motor cars that eventually got swallowed by the Rootes Group and the indignity of badge engineering. 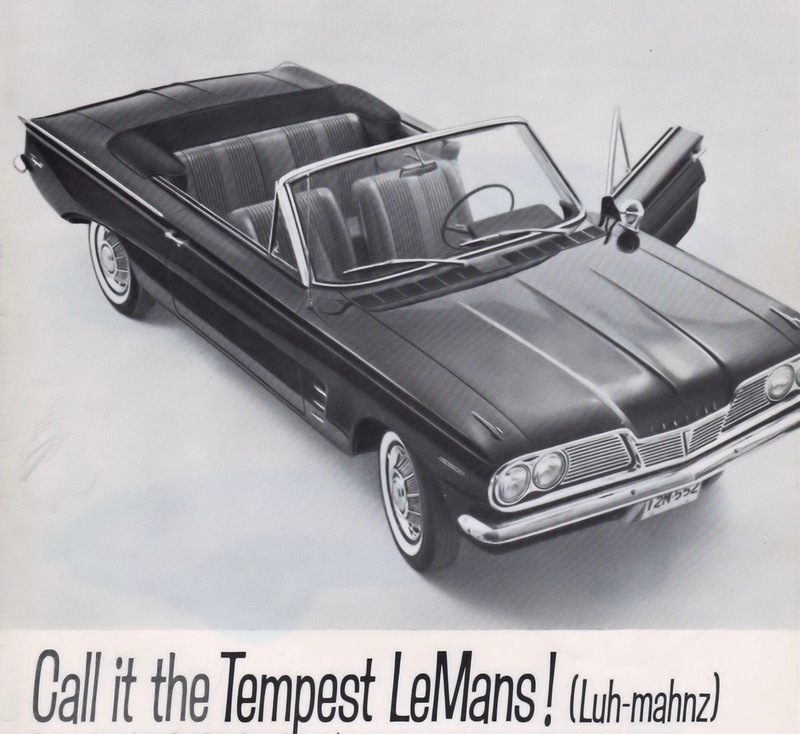 But what of the marque’s Le Mans moniker? In 1933, a Singer Nine Sports finished 13th (the last to finish of the 29 starters). At the 1934 Le Mans, a pair of Singer Le Mans 1 1/2-Litre cars finished 7th and 8th. Three Singer Nine Le Mans models finished in 15th, 18th, and 23rd position. Twenty-four cars failed to make it to 24 hours, included another Singer Nine Le Mans. 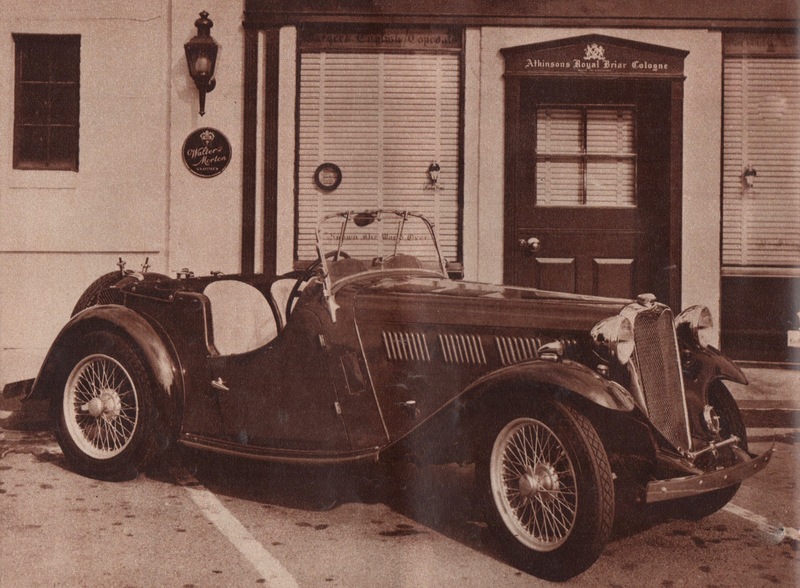 In 1935, Singer returned with a Nine Le Mans Replica finishing 16th, a 1 1/2-Litre car 17th, a Nine Sports 19th, two more Nine Le Mans Replicas in 20th and 22nd position, and a Nine Le Mans 23rd. A total of 28 cars finished the 1934 event, of the 58 starters that included three more Nine Le Mans Replicas. Typically long-stroked (to keep its RAC rating low), the Singer had a 60-mm bore and 86-mm stroke, a 972-cc displacement, and produced 38 hp at 5000 rpm. The engine’s cam cover is removed here to show its overhead camshaft, a small-car rarity in the era. Singer was not among the 17 finishers in 1937, but there were a couple of good stories: One of the four Singer Nine Le Mans replicas, entered by Roy Eccles, was co-driven by Freddie de Clifford and Mrs. Eccles. 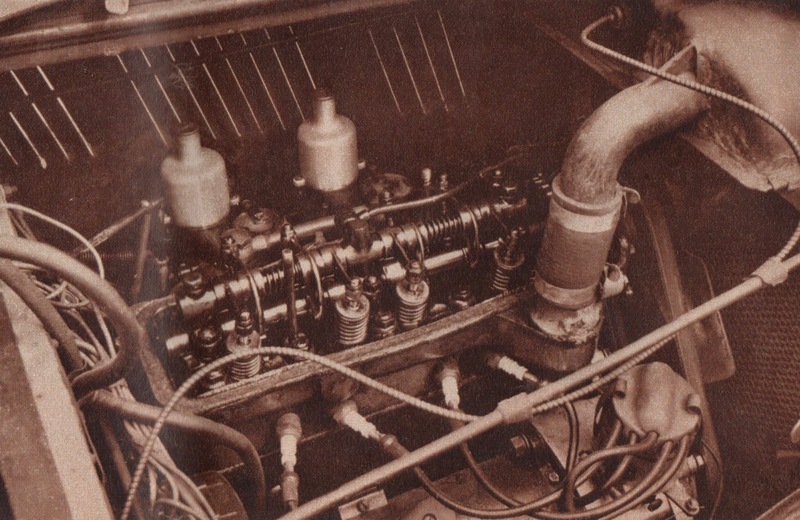 Another, the “Savoye Special,” was driven by Jacques Savoye and Pierre Pichard. In 1938, the Savoye Special finished 8th, this time with drivers Jacques and Pierre Savoye. In 1939, the Savoyes’ car was among 23 other non-finishers; another Singer Le Mans Replica was co-driven by Archie Scott Brown, who would be famed driving Lister-Jaguars in postwar competition. 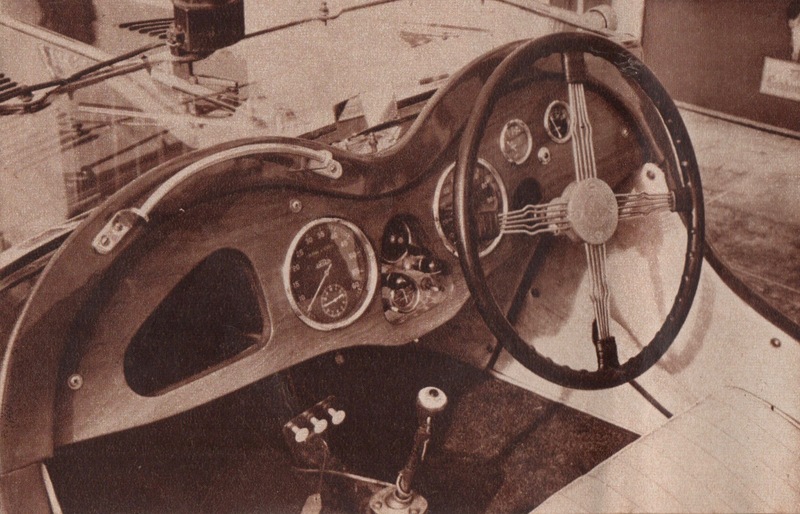 The Singer’s gearbox was non-synchromesh, calling for deft actuation of its four speeds. The button atop the shift knob actuates the hooter; we Yanks call it the horn. The other Singer Le Mans Replica in 1939 was credited with 18th place, though not having completed the requisite 70 percent of the winner’s race distance. This one was entered by Arthur W. Jones, who gave the co-driver role to his neighbor, English motoring journalist Gordon Wilkins. “One of the four Singer Nine Le Mans replicas, entered by Roy Eccles, was co-driven by Freddie de Clifford and Mrs. Eccles.” Now I have to wonder when it was that the organizers first banned women from driving at Le Mans. I understood that Luigi Chinetti nominated Denise McCluggage to co-drive one of his NART Ferraris, but they would not let a woman compete. This entry was posted on January 30, 2019 by simanaitissays in Classic Bits and tagged "Road and Track" March 1953, Archie Scott Brown British race driver, Gordon Wilkins English motoring journalist, Jacques and Pierre Savoye "Savoye Special" Singer, Le Mans 1933 through 1939 (no event in 1936), Mrs. Eccles co-drives Le Mans with Freddie de Clifford, Singer Nine Le Mans Replica sports car, Singer participation at Le Mans.